Ta-da! 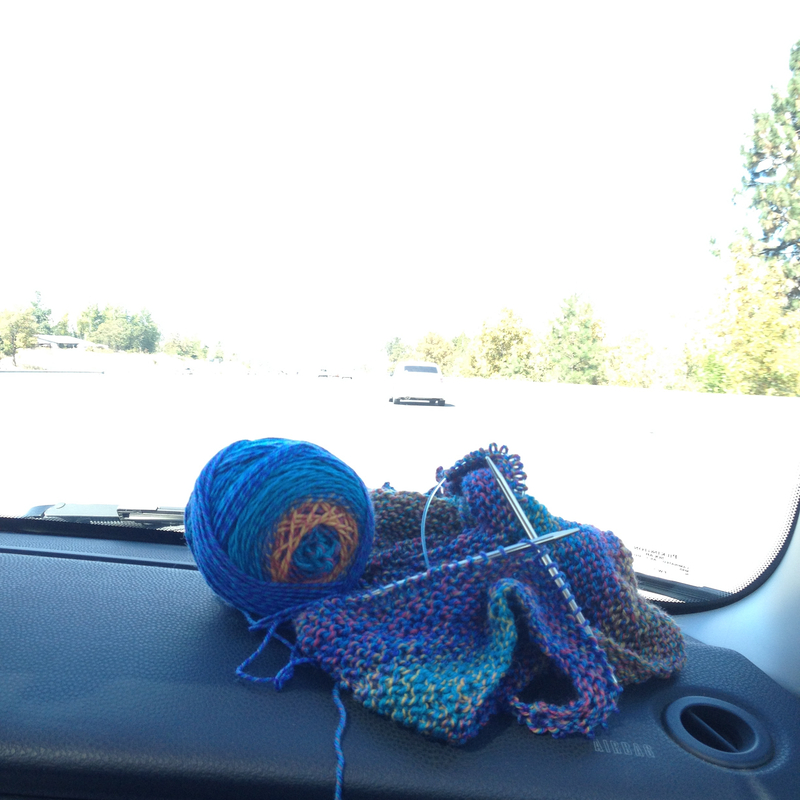 I think baby socks might be next on the travel knitting agenda?!?! 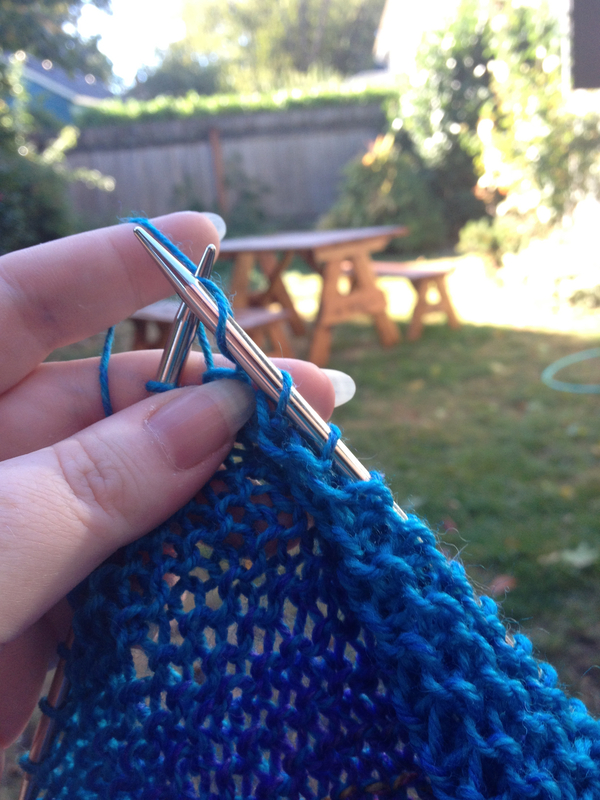 FO Friday – THE Rhinebeck Sweater! 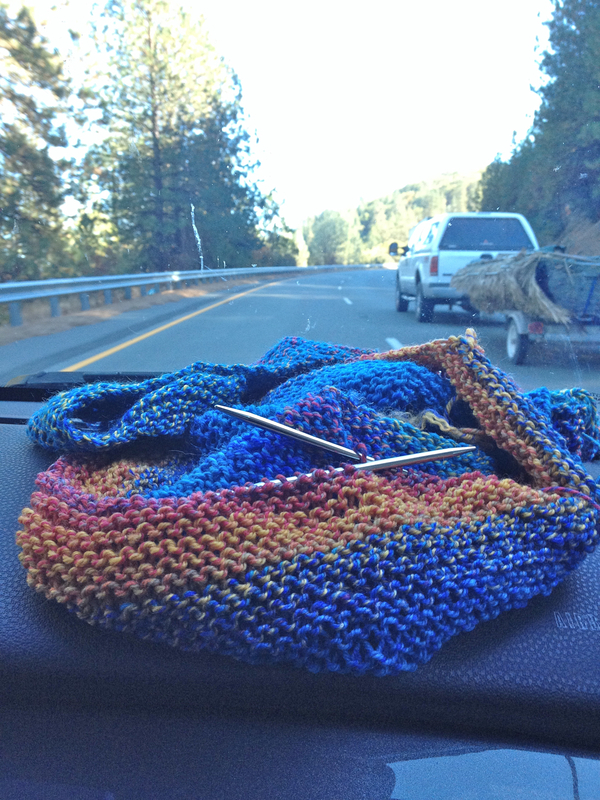 Wow, that was speedy knitting! I love the colors. Perfect for Fall, and Spring, and Winter, and Summer! It went really quick :) I’m pretty stoked about the colors too! 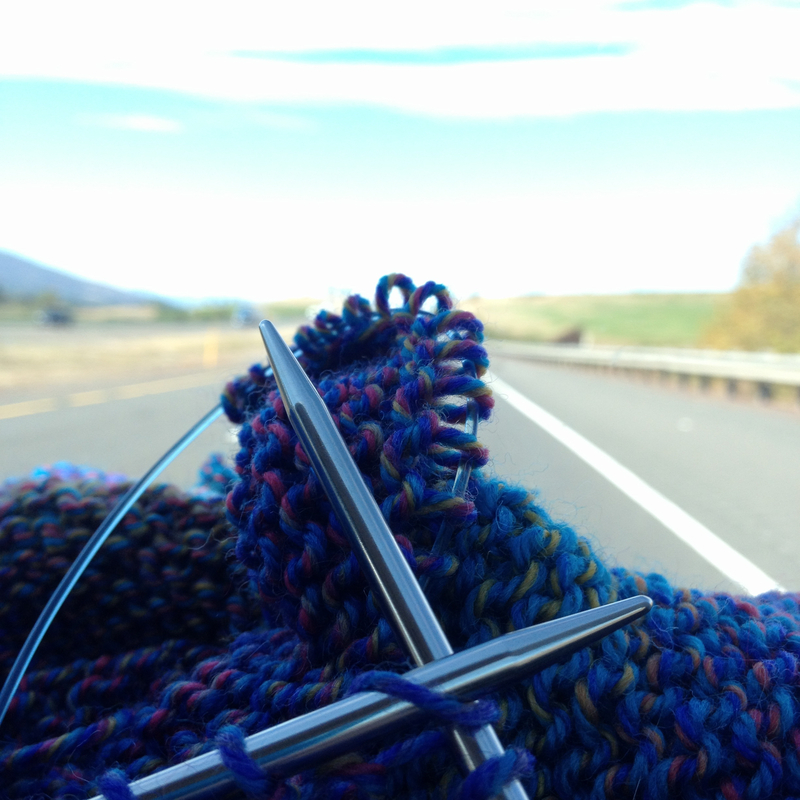 You JoJoland knit up really great as a Hitchhiker. The colors look fabulous. 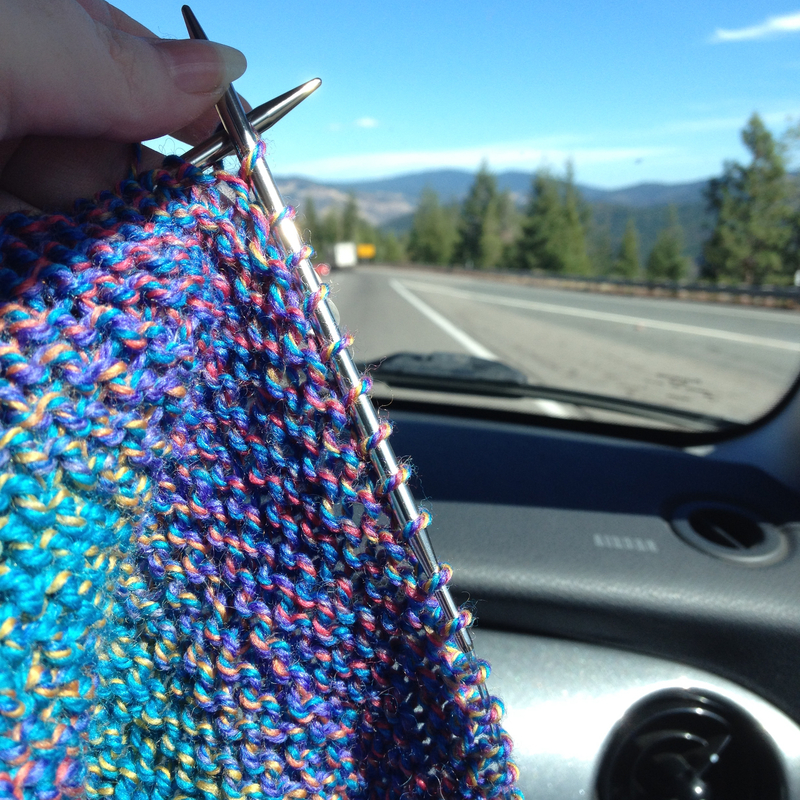 Hitchhiker is a great pattern for car knitting for sure. One of my students did it first, it was such a good idea, I had to follow suit :) it was a perfect instant gratification knit! 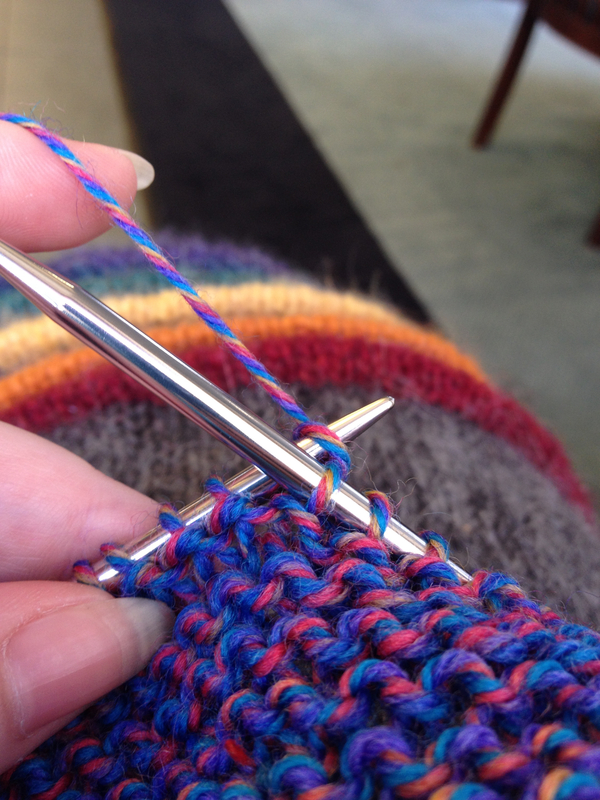 I really want to try working with multistranded/multicolored yarn like that. I haven’t yet. 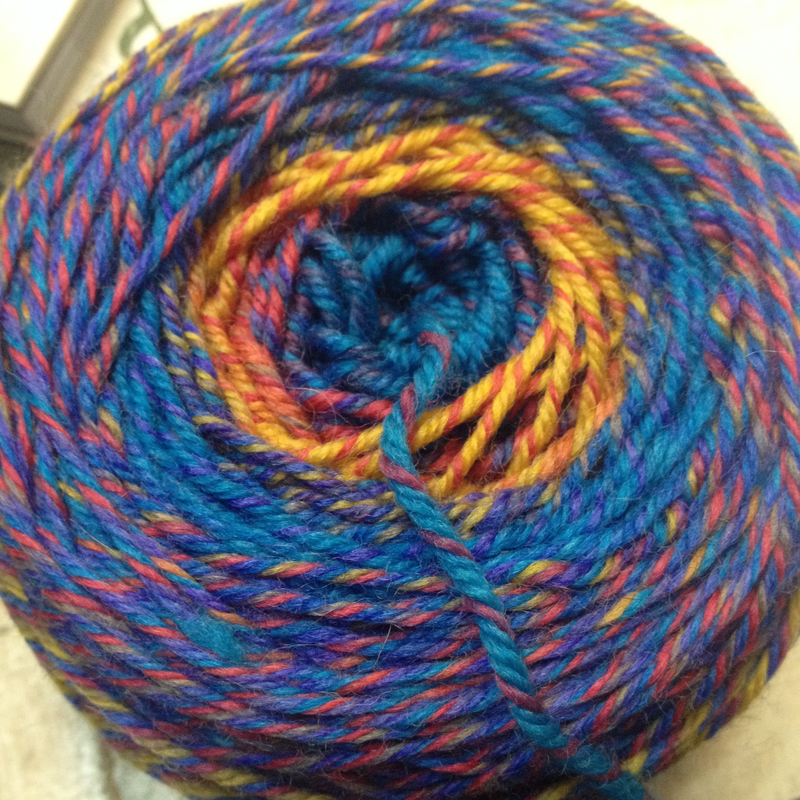 The Hitchhiker came out just beautiful…looks extra pretty wrapped around the banister. Enjoy! Wow! Pretty! And I love your photo background! Clever! Yeah so different and perfect! 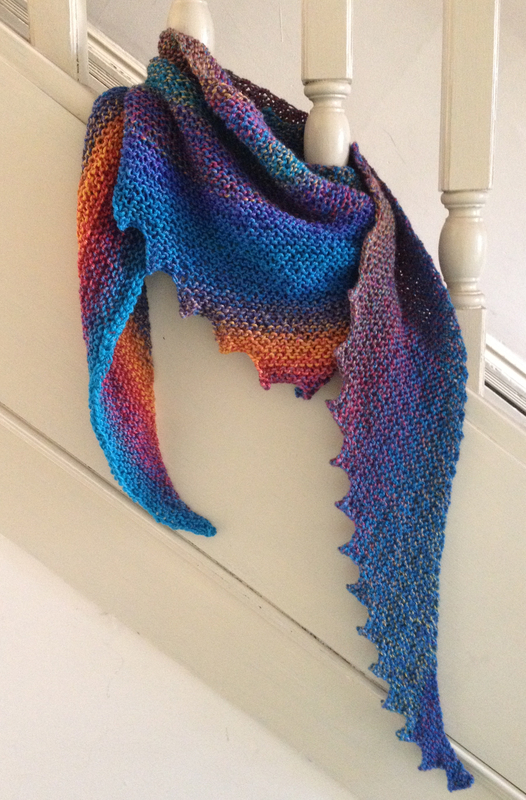 Shawl looks great and the color effect is just amazing!!! 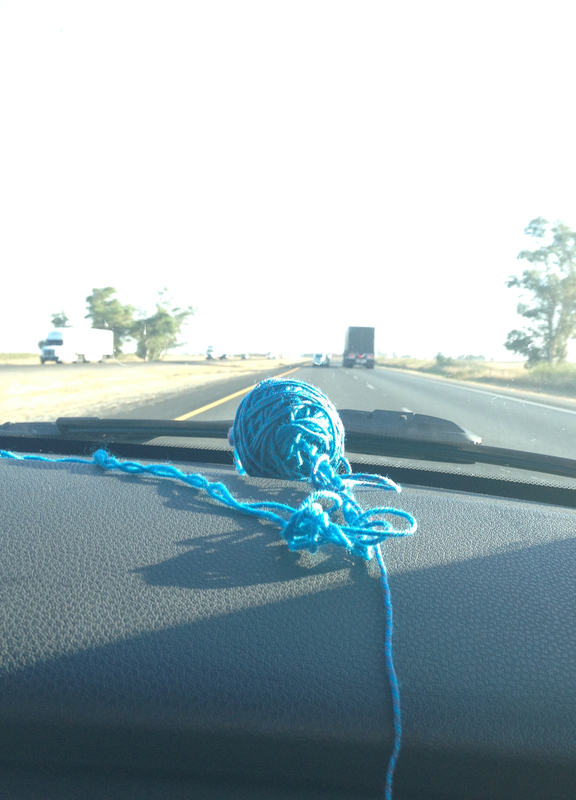 I really love this yarn. According to the ball bands they were all the same dye lot, I sort of feel like there could have been different colors not just different dye lots but it works in the end! :) Maybe it was intentional after all.